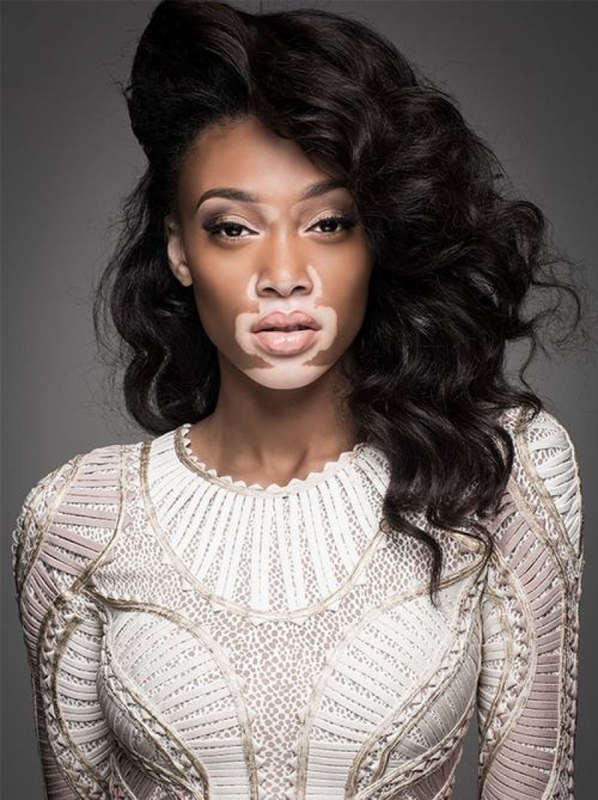 Chantelle Brown-Young professionally known as Winnie Harlow or Chantelle Winnie, is a Canadian model and spokesmodel. She is best known for participating in the twenty-first cycle of The CW reality television series America's Next Top Model, where she placed sixth out of fourteen participants. 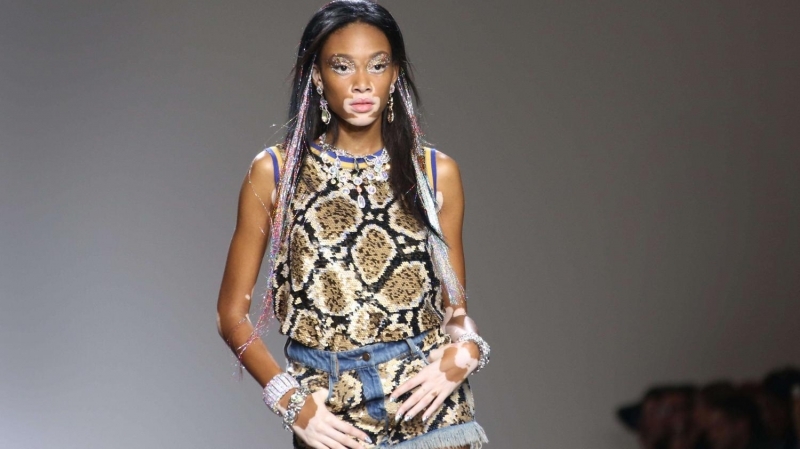 She is also known for her prominent form of the chronic skin condition vitiligo, which she has had since the age of four, that heavily influenced her title of a "vitiligo spokes-model." 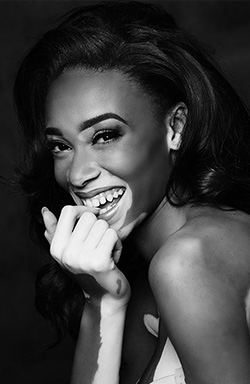 Chantelle Brown-Young was born on July 27, 1994, in Toronto, Ontario, to Lisa Young (née Brown) and Windsor Young. She is of Jamaican ancestry. She also has a younger sister Christina Harlow. 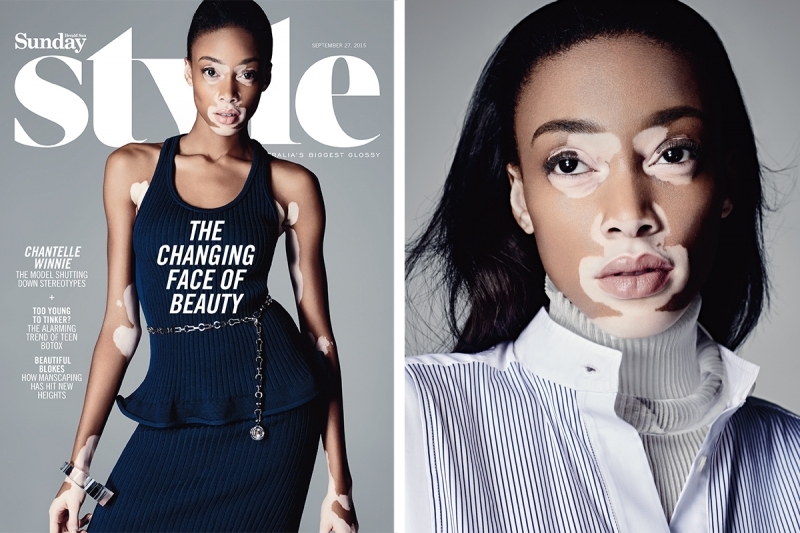 She was diagnosed with the chronic skin condition, vitiligo, characterized by portions of the skin losing their pigment, at the age of four years old. Harlow was a victim of verbal abuse by other children and was reportedly called a "cow, zebra and all manner of other disparaging slurs" throughout her childhood. The verbal harassment led to her numerous changing of schools and finally dropping out of high school at the age of 16-17, and having suicidal thoughts. However, Harlow reports that she has finally accepted her appearance and ignores negative opinions of others. Her first success as a model came in 2013 when local YouTube personality Shannon Boodram saw her pictures on Facebook and asked to shoot Chantelle for her YouTube music video Natural Me. Requests to do editorial work came in despite her being rejected from local agencies. In 2014, Harlow participated in the twenty-first cycle of America's Next Top Model, where she was revealed to be discovered by the reality television show's creator and host Tyra Banks whilst she was on the online mobile-sharing application Instagram. Harlow was originally eliminated from the cycle on the fourth episode and originally placed thirteenth. However, the cycle allowed eliminated contestants to continue to participate in photo shoots and gain public votes so that the eliminated contestant with the highest public vote average would be allowed to return and continue competing. She and fellow eliminated contestant Ben Schreen returned on the ninth episode as the former contestants with the highest public vote average. Of the two, Harlow was revealed on the tenth episode to have achieved the highest public vote average out of the eliminated participants. She was permanently eliminated from the twenty-first cycle on the thirteenth episode, ultimately placing sixth. Following her permanent elimination from the series, Harlow modeled for the Spanish casual clothing brand Desigual and even became their official brand representative; she said in an interview with the New York Post, "Desigual stands for being unusual and unique and atypical, so they figured I'd be the perfect person for that. They had a new line that had a lot of dots. And some of my skin patterns are dots. In the campaign video, there?s a part where the dot on a scarf lines up perfectly with a dot I have on my waist, and I thought that was the coolest thing ever." She walked and closed for the clothing brand Ashish's Spring/Summer of 2015 fashion show during London Fashion Week. She also modeled for fashion and style magazines that originated in United Kingdom such as i-D and Dazed. She has also modelled for the fashion website SHOWStudio. In 2015, Harlow modeled for the Italian clothing brand, Diesel for its Spring/Summer campaign. The ads were shot by British fashion photographer Nick Knight and featured Chantelle together with seven other smiling models. The ads are aimed to convey a message of "inclusiveness and positivity" and are re-touch free, according to the interview of Diesel's creative director Nicola Formichetti to E!News. She also modeled for two foreign editions of the women's magazine Glamour in a five-page spread. She was also featured in the August/September issue of Complex magazine. She was featured in the August 2015 issue of Cosmopolitan. She was also featured on the website of Vogue Italia in an interview and accompanying photo shoot. In August 2015, Harlow shot for the cover and an accompanying editorial spread in the September issue of Ebony magazine. She appeared alongside several other models including Diandra Forrest, Marquita Pring, Milan Dixon, Samantha Archibald and former America's Next Top Model contestant Fatima Siad. 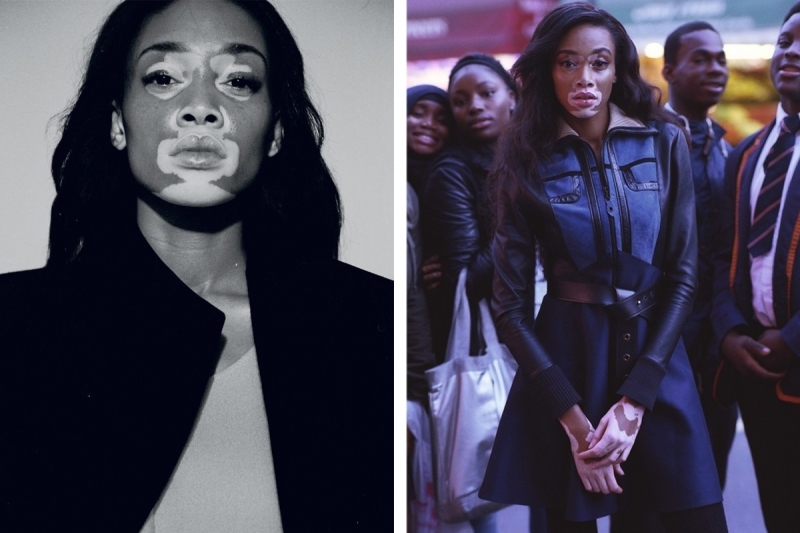 In 2011, Harlow posted a YouTube video, "Vitiligo: A Skin Condition, not a Life Changer", where she shares her story and answers questions about what it?s like to have vitiligo. In November 2014, she gave a TED Talk in which she stated there?s no reason to fit into preordained molds, as ?there is beauty in everything. ?